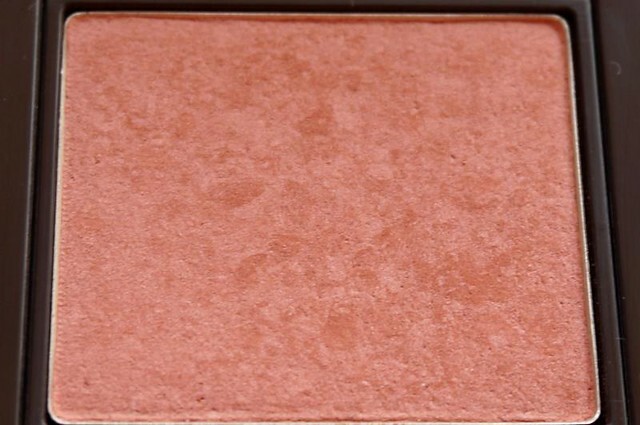 At first swatch, the Laura Mercier Second Skin Cheek Colour in Plum Radiance (P995) doesn't look like anything. It's barely visible and the color looks blah, too. But wait till you get it on your face with a proper blush brush. This formula turns into a glowing, "second skin" color on your cheeks! 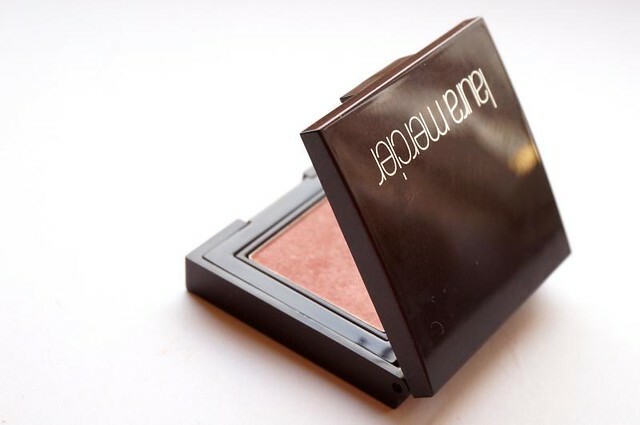 This blush is perfect for people who don't like colors that sit like prissy princesses on top of their cheeks. It's sheer but easily built up, and the texture is just so that you don't pick up a load of powder after a brisk kiss with a brush. Staying power is decent at about four hours. Well, it doesn't promise to be long-wearing so I don't really mind. Plum Radiance is a beautiful pink shade that leans towards plum, and dare I say, is there a hint of peach in the mix? 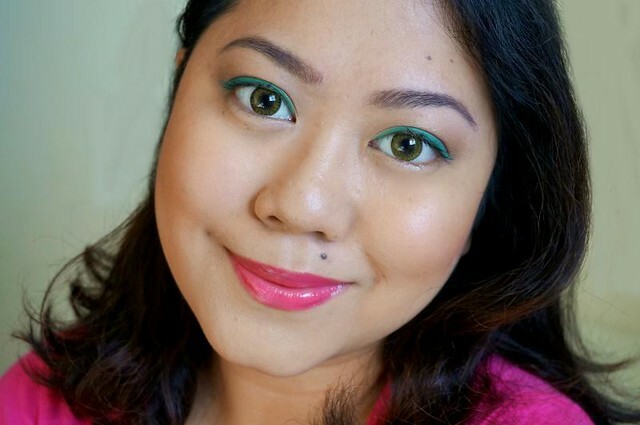 It has fine shimmers that makes cheeks look dewy and fresh - not oily! I think that Laura Mercier has perfected that dewy skin effect! 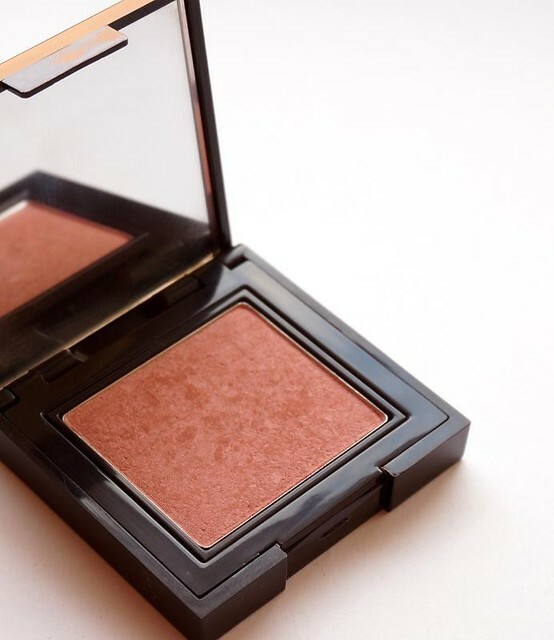 This is my current favorite blush since it looks like a "bridal" color, if you know what I mean. 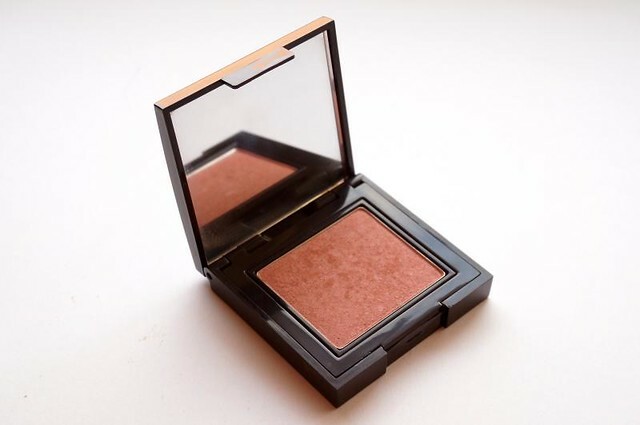 It's versatile and classic and perfect for everyday makeup. And here I am wearing the blush. I just got those contact lenses yesterday and I DID NOT think they would look green! They're called "Coffee" for crying out loud. I expected a rich brown shade, not a light anime green. But I hope you could sortof not freak out about it like I am at the moment hehe. 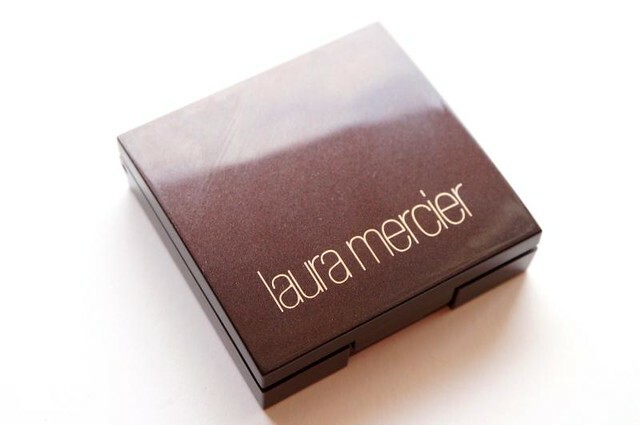 Bottomline, you should definitely try out the Laura Mercier Week Second Skin Cheek Colour if you like feather-light blushes that look completely natural. 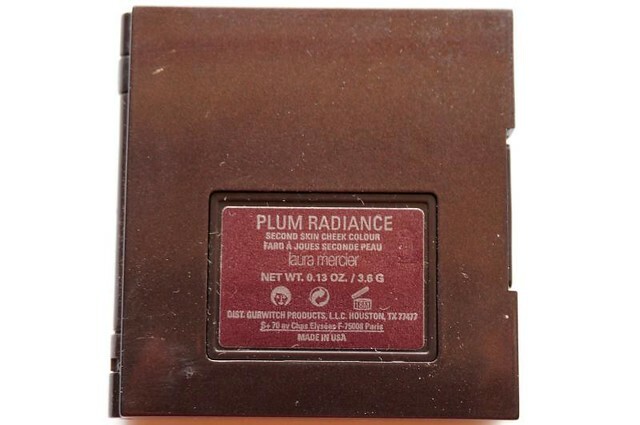 Plum Radiance is a great color for pretty much anyone, since it's predominantly pink yet warm enough for Asian skin. And that is that. Have a great weekend guys!